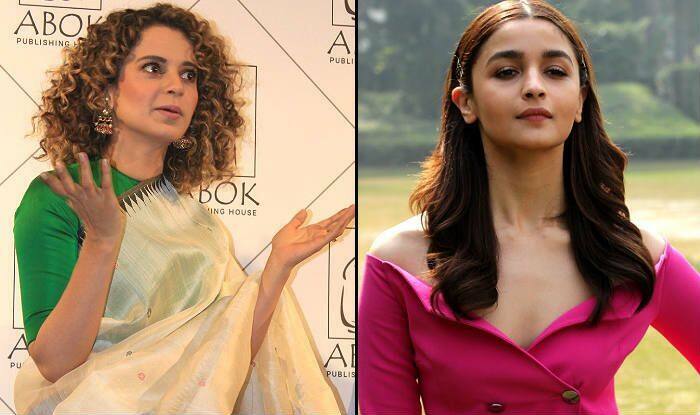 Kangana Ranaut was asked to comment on beating Alia Bhatt's Gully boy performance in a poll. She said 'please don't embarrass me' by promoting a mediocre performance. This is the third time Kangana Ranaut has talked about Alia in her interaction with the media. Earlier, during the success bash of Manikarnika, she questioned why Alia doesn’t speak on the matters of national interest. Kangana called out both Ranbir Kapoor and Alia for their apolitical stance and said they should not shy away from commenting on the issues that concern their country. Before that, the actor took Alia’s name and questioned why she never supported her film Manikarnika despite being a female actor herself. She said actors like Alia skip the screenings of her film after ‘shamelessly’ asking her to attend the premieres of their films. In response to Kangana’s previous comments, Alia said at an event that she does have her own opinions on politics and other issues, but she doesn’t think it is important for her to share. Alia said that her opinion is not going to change anything and therefore, she should keep it to herself. Before that, commenting on Kangana’s ‘screening’ statement, the Kalank star said that she has no idea how and when she upset the Panga star but she will make sure she apologises to her in person if she has hurt Kangana in some way.